ICTWORX is a specialist ICT training & skills provider to corporations & government agencies, that empower their people with the enterprise technology skills required for a 21st century workplace. Enterprises have long shown interest in mobile app use cases that combine Artificial Intelligence and Augmented Reality, but with very few tangible or practical implementations. Until now. Simultaneous recent changes to mobile device hardware, cloud technology and cognitive API’s mean that these types of cases can be realized at a fraction of the cost and effort that would have been required just a few years ago. 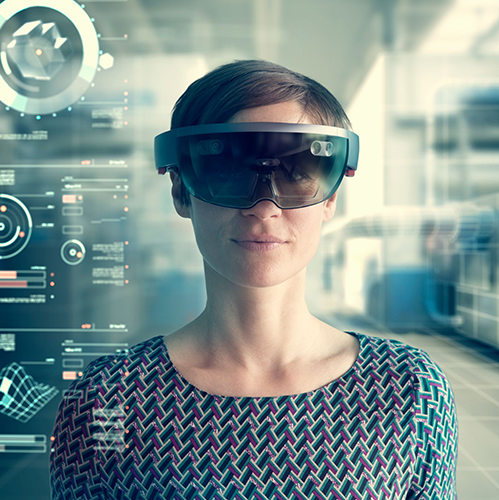 Augmented reality is breaking out of consumer gaming and furniture placement apps to be at the forefront of use cases for transformational employee apps across industries. Cognitive Diagnosis. This is where the user and AI work together. For example, your device may tell you that a capacitor appears discoloured. You then tell the device that the unit is not powering on, and from this combined evidence the device suggests what the problem is, again with a degree of confidence. Augmented Assistance. This is when your device doesn’t just tell you how to fix the problem, it shows you. It gives you instructions with augmented reality labels or highlighted components as you look through your screen at the failed circuit. And these stay in place even if you need to move around the item. And if you need both hands free, you can simply place the device next to you and view the instructions on a digital twin of your circuit. Cognitive Assistant. This functionality allows you to just talk (or type) to converse and work through the issue, but in natural language and with natural responses. Learn. This is critical for these types of apps. They essentially understand what just happened and use the images, actions and results to update their expert knowledge of this type of situation for future cases. So, what’s changed? Devices for one thing. Today smartphones are equipped with two cameras on the back, one standard lens and one telephoto. This allows depth of field sensing so yes, your device can see in 3D. Cognitive technology has also advanced. Everything from speech processing to complex algorithms to visual recognition has evolved rapidly. Many services are now available via easy to consume API’s and the models are easier and faster to train, with less data. With all of these advances, user expectations have changed. So many AI technologies have crept into our daily usage that they no longer seem alien in the workplace. Siri and Alexa have got us used to talking to our devices, Pokémon Go and other games have introduced us to AR, and we prefer the speed of a chatbot to waiting in a helpdesk queue. Until now there have been two options for mobile app artificial intelligence. Cloud based extensive models that require the device to be online, or more limited on-device capability (is there a hotdog in this picture). IBM and Apple have broken this restriction allowing complex Watson models to be built and then run natively on the device in offline mode, with learning updates taking place when reconnected. This has broken one of the final barriers to enterprise AI/AR.